Another of Elvira’s friends who did time in Holloway ( see https://elvirabarney.wordpress.com/2011/12/11/medical-officers-report-on-elvira-dolores-barney/ ) was Brenda Dean Paul, whose decline into addiction received more publicity than even Elvira managed. Brenda will pop up quite often on this blog but some of the people around also deserve mention. Not the least of these is Anthea Rosemary Carew, another probable member of Elvira’s crowd. Described by Brenda Dean Paul as her “staunchest” friend and by others as her “fast friend”, Anthea Carew was prosecuted, together with her good pal, a couple of months after the Barney trial. She had been attempting to buy cocaine from a “French Countess” for Ms Dean Paul. The details can be found in the newspaper reports below. The first thing that struck me was the reference to “Terrence” in the letter to the “Countess”. Could this be Terence Skeffington-Smyth? I do hope so and it would make sense in all sorts of ways. (See https://elvirabarney.wordpress.com/2011/10/17/terence-skeffington-smyth/ ). I am also slightly intrigued by the strange idea that cocaine was a good way of getting through opiate withdrawal. It does serve to portray Anthea as a Good (if somewhat unorthodox) Samaritan but I am not entirely convinced.A host of other questions spring to mind. How much was “any you don’t want”? How much would £60 worth have been in 1932 – not to mention £1200? Who was the mysterious Countess? 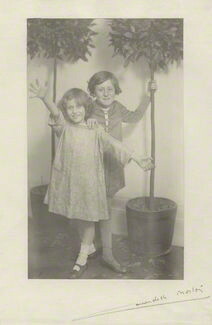 Anthea Rosemary Gamble (1906-1960) and her brother Patrick ( 1905-1956) were definitely part of the young “Smart Set”. Though not rich in the way Elvira was, they enjoyed high social status due to their father being Dean of Exeter. They were Belgravia born and bred, growing up in Sloane Street. 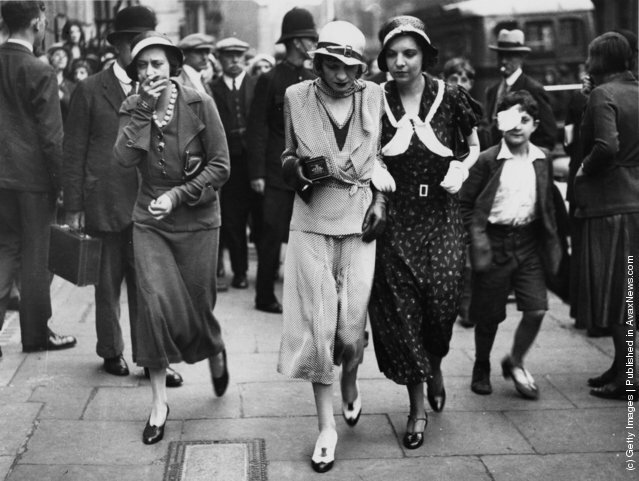 Both children seem to have embraced with some enthusiasm the freedoms and pleasures that the twenties offered them..
Patrick hosted one of the early “Blackbirds” parties in Mayfair, for the all-black cast of the stage show that had such an impact on the Bright Young People. It may have been at this gathering that Brenda Dean Paul became enamoured of the idea of being a “coloured dancer” and suggests she was already a friend of the Anthea’s, who would have been there also. Patrick was a friend of Matthew Ponsonby, brother of the incorrigible Elizabeth, who was to become close to many of Elvira’s circle – Hugh Wade especially. Evelyn Waugh’s diaries describe his dining with Matthew and Patrick (Matthew is the real-life source of the “drunk and disorderly” car episode in Brideshead Revisited). They also record his misgivings about attending the wedding, in 1928, of Anthea to Dudley Carew. Anthea, variously described as “lovely” and “beautiful”, married the cricket-writer and novelist Dudley Charles Carew at Exeter.The marriage was not a success. Carew wrote many years later, “My whole whirlwind affair with Anthea, culminating in my engagement, had an air of unreality about it”. He compared their incompatibility and the marriage to Waugh’s own short-lived relationship with Evelyn Gardner but added that ” Evelyn’s lacked the touches of fantastic extravaganza that illuminated my own (to Anthea Gamble). Fantastic is the right word, and that element was heightened by a liberal attitude to alcohol”. The couple divorced in 1933 but had lived separate lives for some time before that. Dudley Carew was an odd-character. 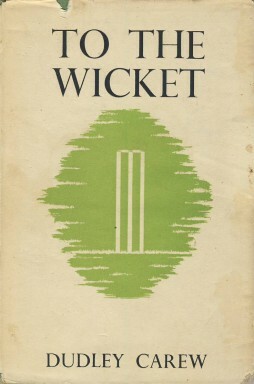 A gifted writer on cricket, his “To The Wicket” is one of the finest works on the county game. It is also a nostalgic tribute to the inter-war years and includes a spirited defence of the , by 1946 almost universally despised, Bright Young People. His novels and poetry have lasted less well. He was at Lancing with Waugh and hero-worshipped him all his life. Waugh however, although spending much of the 1920s in his company, was at best patronising and later on completely dismissive of his acolyte. Carew, though hurt, continued to be a loyal advocate, going so far as to deny rumours of Waugh’s youthful homosexual escapades and even ridiculing suggestions of homosexuality at Lancing (where Tom Driberg was a prefect!). Whether he was the “Mr.Carew” who ended the evening with Brian Howard and Plunket-Greene on the night of the shooting, I can’t be sure but it is more than possible. Whether he was in anyway related to the “Philip Carew” who died after a cocaine binge at a Chelsea party that Elvira attended shortly before that event, I cannot say as the incident, mentioned by Peter Cotes, has so far proved impossible to verify. Anthea, in the meantime, like so many of Elvira’s friends was a young married woman with no husband in any real sense, and hence free to enjoy the party circuit. She and Brenda Dean Paul became closer and, although she undoubtedly indulged in her share of excesses. does appear to have done her best to look after her self-destructive friend. Her fine and the conditions of her probation, sent to Mowbray House under strict supervision, suggests that the court had no doubt that by 1932 Anthea also had a drug-problem. One Gamble who certainly did have was Gertrude, whose suicide in August 1932 after spending time with Elvira in France is one of the oddest aspects of the whole case. She was not, however, related, as far as I can tell. 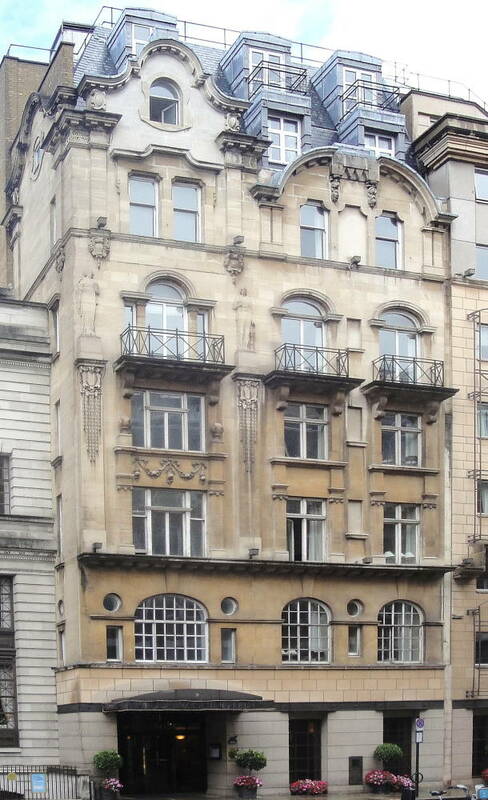 Patrick Gamble married Basil Dean’s ex-wife, Lady Mercy Greville, in 1936 – but that too did not last. 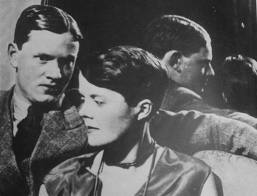 By the late 1930s both Patrick and Anthea had faded from public view and I can find no post-war references to either. I will leave the puzzle of the Countess and the presence in court of the rather dubious Dr. Frederick Stuart to a later post.